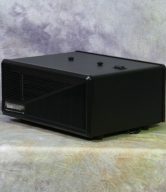 The LAD2214AF furnace air purifier is commonly known as a whole house air purifier. 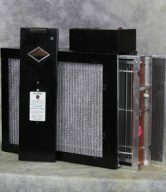 This unit will protect your home and family while it cleans the air in your home while preserving the furnace fan. The LAD2214AF furnace air purifier is commonly referred to as “whole house air purifier”. 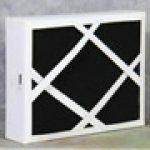 LakeAir in-duct units are ideal for residential forced air systems. The model LAD2214AF is designed to work well with both newer high efficiency systems and existing equipment. Only 60 watts of power are required to run this very efficient furnace air purifier. There are no moving parts in this unit, and the electrical system is guaranteed to be free from defect for an amazing 7 years. The LAD2214AF has a free flow air design that ensures super low back pressure. 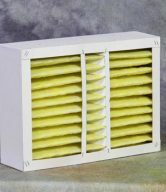 The air will flow through your home cleaner and at a greater volume than media filters with higher efficiency. 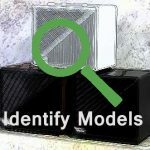 Higher air flow will result in your home have fewer hot and cold areas and will put less stress on your heater fan. The LAD2214AF is built from sturdy 18 gauge american steel. All LakeAir products are produced in Racine WI by RK Ventures Inc. 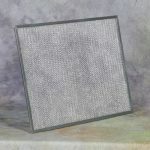 The LAD2214AF furnace air purifier will service your home with clean air better and at a lower price than any technology on the market; In a Study by the CMHC (Canadian Mortgage and Housing Corporation) a comparison of premium 1″ filters, charged media filters, HEPA filters, 4″ pleated filters and Electrostatic filters was made. Each whole house air purifier was tested for 48 hours. After all testing was completed, it was found that the greatest improvements in indoor air quality was delivered by the electrostatic system like the LAD214AF. Furthermore, the second lowest cost of maintaining the system was the electrostatic, as well. 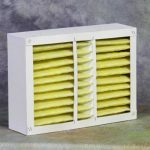 The CMHC concluded that electrostatic filters provided the best and most cost effective method of cleaning the air in a home. Try this time trusted technology to purify the air in your whole house. The LAD2214AF furnace air purifier is equipped with an airflow switch that ensures that the unit only operates while your air handling system is operating. 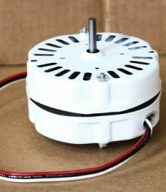 The power supply contains a corrosion resistant voltage multiplier to impede feedback with improved electrical tolerances. 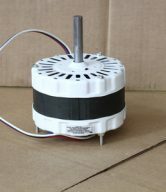 The voltage contact system allows mounting bi directionally with a perfect connection every time. A safety latch and grounding strap provide extra protection against shock when the unit is being serviced. 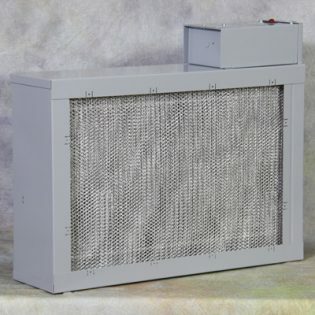 You will not need to replace the filter cell on this unit as it is washable and normally lasts 15+ years. 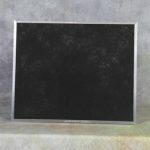 The LAD2214AF has our largest activated carbon filter that will remove harmful VOCs like radon and formaldehyde from the air in your home.